Like a rhinestone cowboy. 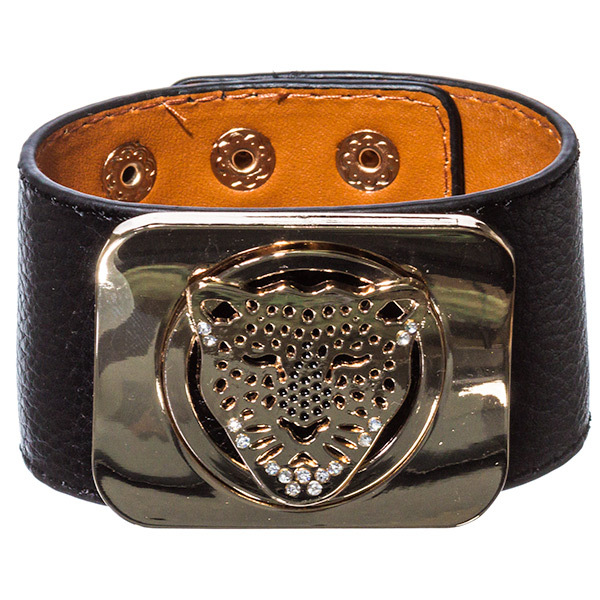 The Nyla cuff roars with a cheetah gold buckle plate embellished with clear rhinestones on black leather, finished with press-studs. Designed for the trendsetters who aren’t afraid to standout. Oz Bling's jewellery Australia offers huge ranges, simple shopping, fast shipping and superior customer service.